When an industrial facility requires ion exchange technology as part of its process, it’s important to not only know how much the ion exchange resins cost but also to factor in expenses associated with maintaining and disposing of them. These costs can be difficult to narrow down because of the many types of resins available on the market today (there are thousands) in addition to all the factors that can drive those costs up and down (such as the material or process used to make the resin, the price point designated by the manufacturing company, etc.). How much does it cost to purchase ion exchange resins? Resin costs vary depending on the manufacturer, type, quality, and spherical size. The most common IX resins are formulated from either gel or a macroporous polymer. Generally, gel resins are best for standard water treatment operations, as they offer a greater capacity and regeneration efficiency. On the other hand, macroporous resins are beneficial for aggressive conditions, with their greater chemical and mechanical resistance making them able to stand up to high temperatures, significant osmotic shock, and/or exposure to oxidizing agents. Strong Acid Cation (SAC) resins are often used for water softening and demineralization applications. SAC resins are a relatively safe and cost-effective method for removal of scale-forming hardness, such as calcium and magnesium, as they may be regenerated with a concentrated salt solution such as a sodium chloride brine. When used in the hydrogen cycle with sulfuric or hydrochloric acid (HCl) as a regenerant, SAC resins are also highly effective for demineralization. 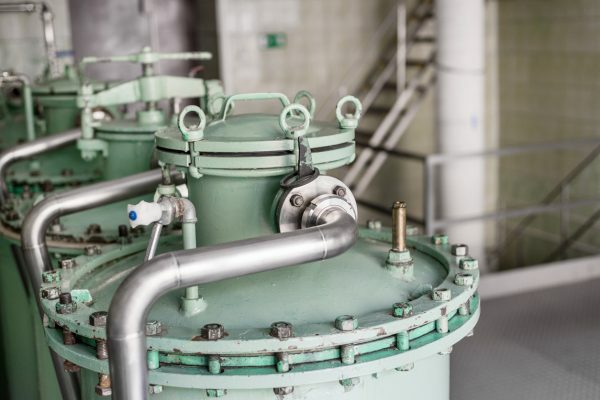 Weak Acid Cation (WAC) resins are a cost-effective choice for dealkalization applications where the feed water has a high proportion of hardness to alkalinity. The WAC resin accomplishes this by removing divalent cations (e.g. calcium) and replacing them with hydrogen / sodium depending on process conditions. Depending upon process needs, the IX process may be followed with degasification and/or pH adjustment. WAC resins are also good choices for softening of streams with high salinity. Strong Base Anion (SBA) resins are available in various types, the characteristics of which must be weighed to determine the best fit for a given application. SBA resins are good for silica removal, especially for streams with low free mineral acid (FMA) content. Other excellent uses for SBA resins include removal of uranium. SBA resins are also effective for removal of nitrates (NO3), though efficiency may be compromised by excess regeneration cycles if the feed water contains high concentrations of sulfates. Lastly, SBA resins are able to bind with halogens. Weak Base Anion (WBA) resins are effective for deionization applications where removal of carbon dioxide (CO2) and/or silicon dioxide (SiO2) is not required. WBA resins are also effective for acid absorption, as they work to neutralize strong mineral acids. Specialty resins are used for a variety of specific applications. Chelating resins are the most common type of specialty resin, and are used for selective removal of certain metals, brine softening and other substances. Specialty resin functional groups vary widely depending upon the application at hand, and may include thiol, iminodiacetic acid, or aminophosphonic acid, and others. Chelating resins are used extensively for concentration and removal of metals in dilute solutions, such as Cobalt (Co2+) and Mercury (Hg2+). Another type of specialty resins is magnetic ion exchange (MIEX) resins, which used for removal of natural organic matter from liquid streams. Once the facility’s resin needs are determined (including all required performance characteristics), then the facility can calculate how many cubic feet will be needed in addition to what the regeneration system vessels, and configuration will be, which will also be a factor in cost, but on average, expect price ranges from $40 to $200 per cubic foot for SAC/WAC resins and $130 to $200 per cubic foot for SBA/WBA resins. Again, these prices will vary depending on the quality and spherical size of the resin (some resins will require a larger volume than others), and keep in mind that type 1 resins tend to be less expensive than type 2, which will generally have a larger capacity. Specialty resins tend to range anywhere from $500 to $2,000 and up per cubic foot. How much does it cost to maintain ion exchange resins? The frequency of all these things will determine how long the resin will last and how often you will need to purchase new resin to replenish the spent resin. When using ion exchange as a polishing technology, a facility can opt for off-site regenerable ion exchange. This is a service provided by an outside contractor, and typically, depending on flow rates and how often you change out the resin, they can add cost anywhere from $40 to $100 per cubic foot for off-site services. These resin service are usually reserved for polishing applications because if the resin is changed frequently, the cost for the off-site regeneration can be more than installing a polishing technology to regenerate on-site. One of the main things you should plan for when regenerating on-site is a chemical-handling system to store the chemicals and feed them to the ion exchange system. For a robust industrial chemical handling system with storage tanks, metering pumps, and forwarding pumps, cost can be around $100,000 to $300,000 depending on the size. 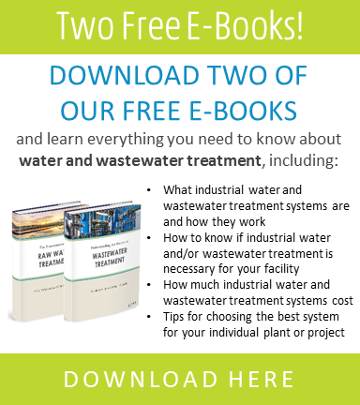 How much does it cost to dispose of ion exchange resins? Spent IX resins are considered solid waste and are typically either buried in landfills or incinerated. Recycling of exhausted resin materials is neither common nor practical since there are few facilities capable of processing the resin materials (typically polystyrene or acrylic). No matter which disposal method is chosen, care must be taken to dispose of the resin in compliance with federal, state, and local waste management regulations. Liquid content. When in active use, IX resins have significant water content. When re-bedding an IX system, care should be taken to drain away as much liquid as possible to avoid excess disposal costs. Volume of the resin and void spaces. Depending upon the type of resin and bed type, there may be more or less void space between resin beads. Additionally, care should be taken to minimize the size and number of containers used to transport the spent resin, and excess volume can drive disposal costs up. Resin composition and chemical activity. It is critical to check the Material Safety Data Sheets (MSDS) of the exhausted resin to verify whether the resin itself demands any particular disposal considerations. Resin contamination. While most unused resins are non-hazardous, they can be contaminated by exposure to various materials in process streams. If the resin has been exposed to any hazardous materials, such as heavy metals, then it will either need to be treated as a hazardous waste, or the toxic materials will need to be stripped out of the resin material prior to disposal. Consideration of these and other factors will help to determine an effective disposal strategy appropriate to the processes and materials used at your facility. Certain types can be burned if it’s organic-based, but for the most part, they are disposed of in a landfill. For nonhazardous resins, the costs can range from $50 to $100 a ton to dispose. Hazardous, on the other hand, can be over $1,000 a ton to dispose of it. These costs will depend on the facility’s location, how far it must be hauled, the location state requirements, etc. SAMCO has over 40 years’ experience in identifying appropriate IX resin technologies to help lower costs and waste volumes while increasing product quality. For more information or to get in touch, contact us here to set up a consultation with an engineer or request a quote. We can walk you through the steps for developing the proper solution and realistic cost for your IX treatment system needs and resin needs. To learn more about SAMCO’s innovative IX resin solutions, visit our page on ion exchange resin technologies here.